Little Free Libraries are popping up everywhere. We have at least three in Haw Creek. By Haw Creek Commons (by the parking lot next to the Bethesda Methodist Church), one at 8 Rhododendron Place (set up by Janet Oliver) and one in the Stonebridge Community (set up by the Stonebridge HOA). What is a “little free library?” It is generally a small box on a post with a door. Inside you can find books that have been left by people who no longer want to read them. You can take a book or you can leave a book. Or you can do both. Some little free libraries specialize in the kind of books that they have; books for children, books on religious topics, novels, non-fiction. As far as I can tell, the little free libraries in our neighborhood are not specialized. I spoke with Paul Rollins who was the point person for getting the library started in Stonebridge community. It took from June to October to go through the process of getting community acceptance to put it up in a shared space. The community has 60 homes and 37 people came out to celebrate when it was opened. Mr. Rollins says that it is a great community asset, bringing people together who otherwise may be isolated from each other. It also supports reading and sharing of materials. Like the little girl in the video below, children love the chance to get a book for free. Libraries are very important to communities. We have noticed how many people come out to the community meetings regarding the East Library on Avon. Exchanging information through reading is something we value, even in this day of electronic devices that can provide whatever information we want just by asking a question. However, the pleasure of turning the pages and relaxing by reading is something that can best be achieved with books. So for those of us still enjoying the tactile pleasure of a hard copy book, try out the little free libraries and see if you can find something surprising and enjoyable. Visit www.littlefreelibrary.org for more on how to start your own Free Little Library. For more information you can also contact Paul Rollins at 828-505-0144. The space had previously housed another day care center which came up for sale in 2007. This interested current owner Teresa Webb, who at the time had a small home-based day care center. She saw this opportunity to branch out and expand, knowing how much quality child care services are needed in the area. She had spent time as a child in the east Asheville Oakley neighborhood and was familiar with the area. On January 1, 2008, Teresa opened East Asheville Academy and the business is still going strong and growing. The center is licensed for 45 children total, divided into three classrooms by age group: infants age 6 weeks to 2 years, toddlers 2 to 3 years and preschool age 3 to 5 or 6 years, depending on when they start kindergarten. East Asheville Academy practices what is called “volunteer enhanced ratios” for staffing which means less children per teacher. This allows more one on one-time, better care in general and usually less stress for the teachers. Lead teachers have child care credentials through a college, usually a one semester program which includes skills such child development and psychology, teaching and lesson planning. There is a 90 day on the job training program for teachers and they all receive 20 hours of annual continuing education. The staff has CPR and First Aid as well as emergency response training. A typical day starts with teachers coming in at 7:30 am. The kids get dropped off between 7:30 and 9:30 depending on each family’s schedule. “We don’t take them past 9:30 though because it gets disruptive once the lessons start,” Jessica explains. They serve breakfast, lunch and a snack during the day. There is outside time for play and science lessons. Circle and group time, readings and songs, nap time and other age-appropriate activities round out the day. Pick up is by 5:30 pm. Often there is a theme for the week such as baby animals and they’ll get to see things like hatching eggs and bring pictures of animals. When the child leaves here for kindergarten we work to get them “school ready,” which means they know letters, can write their name, count to 30 and are socially able to work with other children in a group, although these goals change through the years as research changes. “We do have some children with special needs at times. If we recognize a need, delay or problem with development, we’ll discuss this with the parents and can refer to a speech or occupational therapist for evaluation,” Shuford explains. EAA works to go the extra mile for the children and parents appreciate that. It is not a large center, but it is as homey as we can make it. We know all the families by name and keep parents involved with what is going on. EAA is in the process of renovating a previously empty space between their center and the coffee shop into a new class room. This will allow for more differentiation with activities in the toddler group and give everyone more room to spread out. This is important because there are more child care centers that are just preschools which creates a greater need for the baby and toddler groups. They plan for this new classroom to be open by December. Their license numbers for enrollment will increase with the new classroom but those spaces are already filled. Webb and Shuford feel the majority of child care centers in this area are safe and well run. Generally, though the child care need is not fully being met in our region. This deficit is attributed a boom in population and some centers closing because of various issues. Funding has become more available for income-based subsidy vouchers in the last 2 – 3 years but it’s still not enough. It helps that there are home day care centers, licensed for up to six children. The atmosphere in these centers is typically more informal but they still need to meet many similar requirements for safety and health factors. For some children this type of environment in a home-based center may be a better option. The important thing is that the state licensing requirements are met and the children are treated with care and concern. 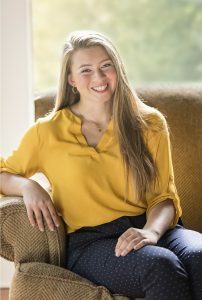 Our neighbor, Reynolds High School student and band member Aryelle Jacobsen, has written and published a book about being in middle school called A is for Awkward, which is getting considerable notice in our community and beyond. The book is a guide to surviving middle school and intends to help struggling preteens who are experiencing the changes which come with entering the sixth grade to weather those changes with less anxiety. Aryelle hopes that by reading this book, these youths will know that they are not alone in experiencing the awkwardness of growing into adulthood. Aryelle lives across the street from Bulman field on Redwing Lane with her mom Doral, Dad Tristan, brother Cayden and dogs Trina and Carlos. She was born in Asheville and played softball for many years across the street from her home. She will be attending college next year and plans to someday open a school. Maybe even in Western North Carolina! 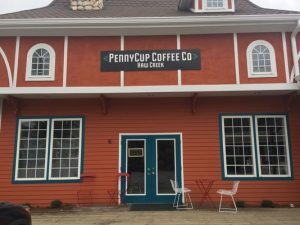 The business was started over six years ago by Steve Slagle who sold it to friend and fellow-business owner Brandon Snyder in 2015. Brandon grew up in West Asheville but his family settled in Redwood Forest here in East Asheville upon returning from an out of state move. Many members of his extended family also have Asheville area small business in trucking, auto sales and repair, body work and others. After serving in the Army, he went into business himself, owning a convenience store in Swannanoa for several years. Brandon had been looking for something different at the time Nothing New became available. Interested in the East Asheville area, he made an offer and the rest is history as they say. Brandon tells us, “When Steve first opened he was solely consignment. I have been working to build the vendor spaces and bring in pieces from dealer and estate auctions to be able to offer a variety of styles.” He explains that the consignment business in the region is changing and seems to be based on home sales. When people move to the mountains from other places they are often downsizing and have furniture and home goods to sell. While this trend continues, there is also a growing number of folks who want to have their own thing “on the side” which is where the booth rentals come in. Vendors offer pieces they have curated, created, refinished, upcycled, you name it. “While we don’t specialize in any particular style, we seem to get a lot of Early American, Art Deco, Mid Century Modern and some Contemporary. I mostly take higher quality pieces made of solid wood, not pressed wood pieces you see so much of,” he says. As far as price point, there are some higher end pieces and sets but generally Nothing New offers mid-range and some lower cost options. This provides style and price options for different customer’s needs. Nothing New is a different store every week, sometimes even every day. “Things are constantly changing, so I get a lot of repeat customers,” says Brandon. Furniture options generally include, couches, chairs, dining sets, dressers, side tables are bed frames (although no mattresses), baker’s racks, book cases and more. As for home décor there are usually many lamp choices, framed art, rugs, accent pieces, mirrors, etc. Take a look at the Facebook page for featured items. As he continues to grow the business, he hopes to be able to offer furniture repair and upholstery services onsite in the future. If you are interested in becoming a consignor: Consignments accepted by appointment. Decide what you are ready to sell. Make sure it is clean and not broken, frayed or has pet odors. To make the process quicker for you, send an email picture. “I try to take consignments in on Tuesdays and Wednesdays when foot traffic is a little lower than around the weekends but we can make arrangements as needed. We can help with lower cost pick up options as well. The consignment contract is for four months. It is a 50/50 split and the customer and I decide upon a price together,” he explains. Check out the website for more details. Brandon Snyder invites his East Asheville neighbors and visitors to stop in and see what is ‘new’ at Nothing New, Inc. They accept cash, checks, credit cards and 30-day layaway with 30% down. I am so pleased to have this new establishment in our neighborhood! A real coffeehouse. I don’t actually drink coffee myself, but there is plenty else to enjoy at this new establishment. On my visit the other day, I enjoyed a freshly made cup of peppermint tea with ingredients stored in glass and a bagel. The bagels come from Brueggers and were fresh and good. They use them to make sandwiches, too. You can get a smoked salmon, turkey, hummus or veggie sandwich. They make their own specialty cream cheeses. They have other baked goods, some which are gluten free. There is a wide selection of drinks as well. 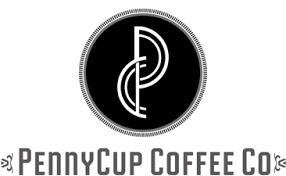 All their coffee is organic and fair trade. They have a variety of cold drinks, both coffee and tea as well as Izzy’s soft drinks, sparkling water and Italian soda. You can choose to use almond or soymilk in your coffee as well. The space is attractive and clean with a bright mural on the long wall portraying people sitting in the café larger than life. There is seating for 30 people both at low and high tables and a couple of tables outside. No couches or upholstered chairs. There were several other people in and out when I was there even though it was the middle of the afternoon. I have met the proprietor, but it was a young woman serving when I finally was able to stop in for a drink. We did try to stop by on Easter Sunday but they were closed with a sign that said they would only be closed three days a year: Easter, Christmas and Thanksgiving. East Asheville’s newest restaurant, The Copper Crown, opened October 17th at 1011 Tunnel Rd. Named for the ornamental roof at their Home Trust Bank Plaza location, the space formerly occupied by Azalea Café and 1011 Pizzeria has been transformed and has a fresh, modern-retro feel. Copper Crown is a family endeavor, the brainchild of Chef Adam Bannasch and his wife and General Manager, Kate. The Bannaschs live in the Beverly Hills neighborhood; sons Max and Milo attend school at Evergreen Charter in Haw Creek. Living in the area has given them insight into the need for more dining options in East Asheville. Adam and Kate hope the Copper Crown will become a true neighborhood bistro with a little something for everyone. “A family of four could come in early and have a nice, reasonably-price meal together, a couple could come in later for a fancy date dinner and a group of friends can stop by after the movies for cocktails,” Kate says. Copper Crown offers high-quality food comparable to many downtown restaurants but without the drive and parking concerns, and for a better value. They have table, booth and bar seating as well as a twenty-seat patio. Brunch is offered both Saturday and Sunday beginning at 11 am featuring loaded hash browns, shrimp and grits, omelets as well as salads and po’boys. A comprehensive bar features signature cocktails such as the Copper Cup, a refreshing gin and citrus concoction. There are eight beer taps and other bottled beer options and a wine list with both new and old world wines chosen to pair well with the food. Specials are offered through the week such as Burger & Beer Night on Sundays with $1 off burgers and beer. They plan to begin offering wine tastings on Thursdays soon- stay tuned for more. Come see your neighbors at the Copper Crown for a great meal or a drink, right here in East Asheville! What is a Little Free Library and what’s so special about it? A Little Free Library is a “take a book, return a book” free book exchange and we are very fortunate to have one in Haw Creek. 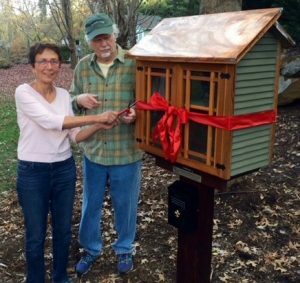 Erected on Bethesda United Methodist Church property by Missional Wisdom Foundation, this “little library” is for all those in Haw Creek and is stocked with books for you to read. The “library” is located along the cemetery fence next to the church. Please stop by 315 Old Haw Creek Rd take a book, leave a book and enjoy Haw Creek’s Little Free Library. Haw Creek is fortunate to have a Fire Department right here in our neighborhood on New Haw Creek Rd. It was established in the 1950’s as a Volunteer Department. In 2009 it became city Fire Station 12. Six firefighters are assigned to the station who rotate 24 hour shifts. Manned by 2 individuals 24 hours a day, they are the first responders for any medical/fire emergencies. In addition, Station 8 will respond from the Tunnel Rd location as well as downtown stations. These fire fighters are EMT certified with intensive 22 weeks of training with additional 240 hours each year to maintain certification. If you are in the area, stop by to say thank you. Bring some cookies or a pizza. They deserve it for risking their lives for us everyday. 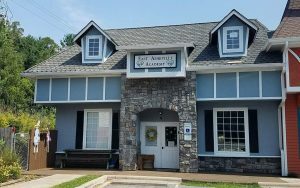 Spotlight On East Asheville – Welcome To Haw Creek? Look up the embankment as you turn from Tunnel Road onto Crockett Avenue heading to New Haw Creek Road and you will see a tall wooden sign welcoming you to the Haw Creek neighborhood. Or will you? Located on private property, the sign and accompanying landscaping is not maintained by the city or county. With the passage of time and our mountain weather taking their toll, the sign had become faded and overgrown. Placed in 2000 by a coalition of Haw Creek residents and HCCA members, the sign has as stood silent sentry at the main entry point to our neighborhood all these years. Residents of Haw Creek wanted churches in the neighborhood listed. The sign was paid for in part by the churches whose names are featured on the sign: Antioch Christian Church, Asheville Gospel Chapel, Bethesda Methodist Church, St. John’s Episcopal Church and Fellowship FWB Church. In an effort to create a more welcoming entry into the neighborhood, the Haw Creek Community Association got permission from the property owner where the sign is located and organized a clean-up. On June 6th members of the HCCA board gathered for an early morning work party. The group cleared brush, trimmed back overgrown limbs and raked leaves around the area. As a final touch the worn paint was freshened up. Now the Welcome to Haw Creek sign once again stands proudly, ushering residents and visitors into our community.